For salespeople, the perception of being powerless when negotiating is far from the reality of the situation. So, how much power do you think you actually have in the negotiation? This depends on a lot of factors. 1 – The Information Factor – What most salespeople fail to realize is that the most desirable thing they have to offer the client is a unique solution that nobody else has yet presented. Other things of value are any additional information that they have not thought of and, of course, the price, to perform all of these solutions. The problem with salespeople is that they cough up all of this information way too early and, therefore, lose the power to negotiate. For example, if a client asks you to give them the price, you might respond by asking, “If I were to give you a price right now, what would happen then?” You have the power at this point to leverage buyers to give you a yes or a no outcome before you work on the pricing. Remember this. You have ALL the power in this negotiation BEFORE you give any information or price. Don’t give away your power to negotiate by revealing information too soon. Make your client reveal what they want before you start to give information. 2 – Time Frame Element – As in every facet of life, timing is everything and this is true of sales negotiation. If someone wants your product AND is desperate because they need it quickly, it’s a big factor in strengthening your position. If you know they have very little time to compare other products, you can create higher value by getting the job done sooner than later. Simply ask, “If you found a solution you like in my options, what would be the next step?” Get the client to reveal to you if time frame is a factor. 3 – Finding the Code – Everybody is different and we all have different things we value that can be featured during any negotiation. Your strategy should be determined by listening to all the victories, challenges and routines in the lives of your buyers and then focusing on that when presenting solutions. For some people it will be bout the safety and health of their family. For others it will be about higher status. Still others will want to save money on long term operations. If you know what drives someone, you can feed the fire that propels them to buy. 4 – Bring Options Other Than Take It Or Leave It – Bringing a take it or leave it alternative puts clients in the position of picking a winner or a loser. When you get down to a single issue negotiation, broaden the scope of your offer to give more choices than just a take it or leave it. Remember that the illusion of options is definitely “on code” with the way that Americans think. Offering a win or lose solution restricts freedom and makes people feel as if they need to search for more answers. Offer the best, most permanent solution first and then work your way down in terms of the quality, service, warranty and delivery to the “economy” option. Then sit back and watch them buy. 5 – Be Willing to Take Away Your Offer – Potential clients can smell your desperation a mile away. Don’t negotiate as if you absolutely have to get this one deal. Walk in as if you don’t need this job. 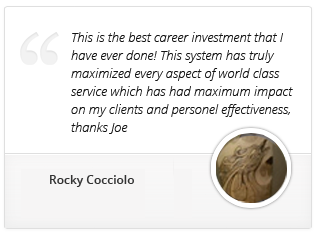 Tell yourself that if this client isn’t in tune with your quality of service, others will be. Remember that when something is scarce, it’s more valuable and when you have plenty of something, it loses value. For instance, if a client asks you if you sell a specific item ask them, “Before I get into that, why do you think you need that?” Pull your enthusiasm back slightly to create the illusion that your services are somewhat scarce to create a higher value. Put the buyer in a position to have to sell you instead of the other way around. 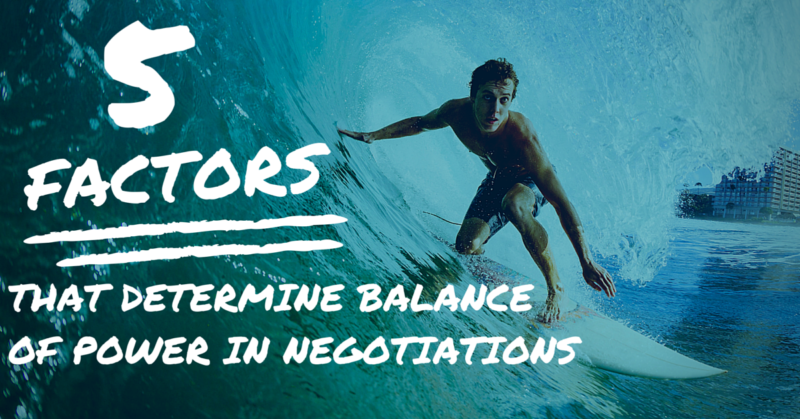 Remember that the balance of power in any negotiation is in the minds of both the buyer and the seller. Use these tips to maximize your power in any negotiation. Do You Really Offer Premium Service? I love this very informative.